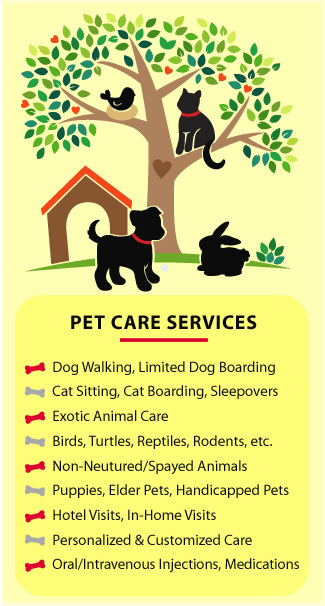 Our first goal is to get to know you, your pet, and your needs. 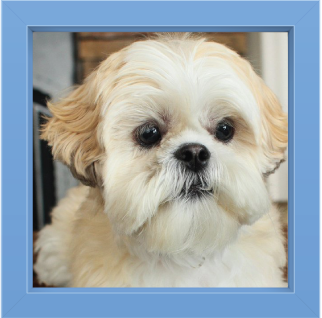 We start out the process developing a pet profile. First and foremost, we ask questions about your animal’s personality, diet, special needs or instructions, if they are spayed/neutered, and so on. In the next step, we arrange to setup a convenient time to meet face-to-face. 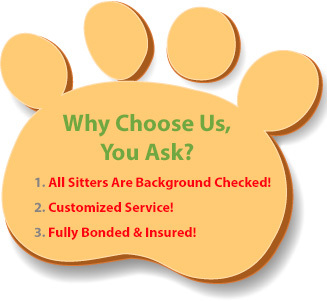 If you want the sitter to visit your pet or live in your home while you’re away, then you will set up a time for the sitter to visit you directly. This is your opportunity to see how they react around your pet, provide a tour, and show the location of food, water, litter box, extra litter, scoopers, can openers, paper towels, cleaning products, broom, vacuum, cat toys, favorite hiding spots, leashes, chew toys, dog walking route/trails and so on. At this point, you may hand the sitter a set of keys or find another time closer to your departure date to do so. If your pet will be staying with the sitter, this is your chance to check out the home, accommodations, and see how your pet reacts to your sitter (bringing your pet is optional – dog owners usually bring their pet with them while cat owners typically leave them at home). Each and every day that you are away, your dedicated pet sitter will check in with you via email (or via text or phone call depending on what you prefer). Because our pet sitters love their jobs, you can often feel the enthusiasm in the correspondence they provide you.